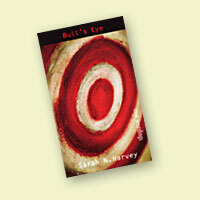 Bull's Eye is part of the Orca Soundings series for reluctant teen readers. The books are only 16,000 words long and have to use simple language, so they are challenging to write. I was interested in telling a complex story in the most direct way, without sacrificing plot or characterization, and it turned out be a great writing exercise for me.